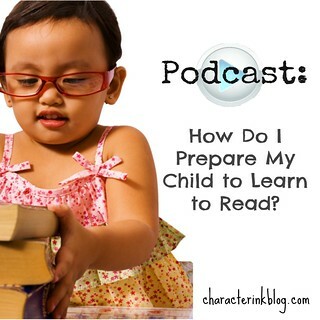 Wondering Wednesday Podcast: How Do I Prepare My Child to Learn to Read? Donna Reish, author of fifty language arts and writing curriculum books, answers a reader’s questions about preparing a preschooler to learn to read. Based on Donna’s graduate thesis about natural readers (children who learn to read with no instruction at all), this audio answers questions about what reading readiness is and what to do while waiting for it, what characteristics are common in homes of natural readers, the outcomes of creating a natural reader’s environment in your home, and more. Donna also gives twenty tips for teaching letters and sounds.